Hello everyonee! Soo October is here, actually we're almost half way through. Woweee! Which means it's only 10 weeks til Christmas, which is slightly craaazy, cannot wait though. Basically, I change what I use on a daily basis so I wanted to talk to you about what i've been using the most recently. 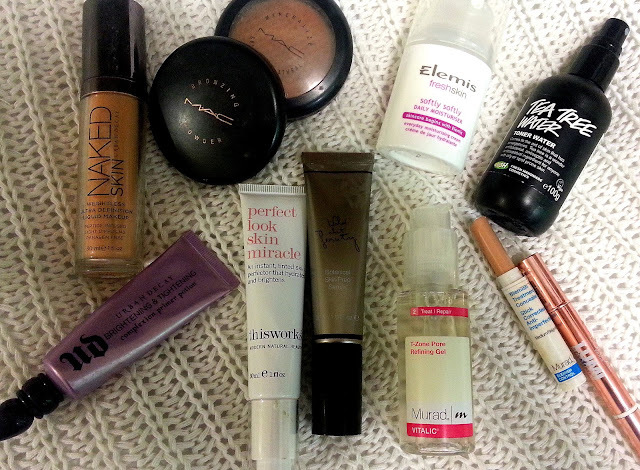 I have been to lots of events in London so most of these are products that i've picked up along the way and i've started to adore the ones in the photo above. I am going to talk you through my new favourite products. Woohooo. Enjoy, Happy October! My fave items are first on the list of course; Urban Decay naked skin foundation and Urban Decay brightening and tightening primer. I haven't used Urban Decay for years and to be honest I didn't even know that they did foundation. The foundation is perfect though, it really is weightless. It looks like my usual Mac Studio Fix when it's on my skin but it feels so much lighter and gives more of a dewy and natural appearance. Light reflects from it really well making the skin look absolutely flawless. The coverage can be built so it's perfect for anyone really. They say that it 'blurs imperfections to deliver a flawless finish that looks professionally retouched and feels invisible.' I couldn't agree more, it really does give you skin which looks perfect in a 'naked' skin type of way. 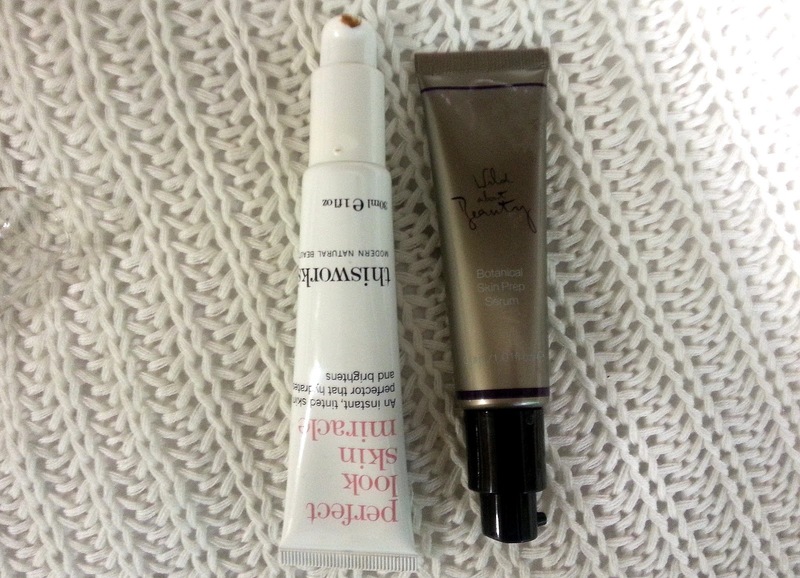 It smooths out imperfections especially if you put the primer underneath it. These two products together are like a dream team. My Mum commented straight away on how nice and natural my foundation looked. In terms of the primer, it really does last all day. I've done an 8 hour shift, and my make up is still immaculate after. Not only does this primer keep your foundation on all day, it also just gives you even more of a flawless finish as it smooths your skin perfectly. On the photos below yes they are instagrammed but you can see my foundation and how smooth it is. I have hardly any on as well. I hope they give you an insight into how good these two products work together. It is £27.00 which does make this a premium product but I do think it's well worth the money. It gives a perfect finish. smoothly and really lasts.' It's even 'enhanced with anti-ageing ingredients'. I advise you all to use this and you really will see a difference. It's £21 which is slightly more expensive than Mac but it uses natural ingredients so it actually treats your skin as well as prepping it for make up application which makes the price better than Macs. 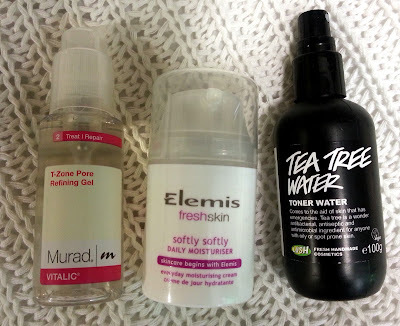 Here are three random products that have been in my skin care routine for a few weeks now and I really am impressed by them. Firstly, Murad's pore refining gel for the T-zone, this is similar to Dermalogica's over night clearing gel. However, it really does sting and itch my face. I have seen a noticeable change with my skin but it does really sting which I suppose means it's working but it's not a nice sensation. It's £27.00 for 50ml which is actually quite expensive, I'm sure there's a cheaper alternative but it is working I think. Elemis is a brand that i've never used before but I was given this at the Cosmo awards and it's actually perfect for me, the softlysoftly moisturiser is just a basic moisturiser which is what I need just to calm my skin. It's around £16.00 which isn't that much but you can get a good mattifying one from Boots for around £5.00. I've never really been a fan of expensive moisturisers but I do love mattifying moisturisers as they break up blemishes. I have been using Lush's Tea Tree toner water and would recommend this to anyone. I only put it on my blemished areas though because I was advised that it will dry out my skin if I put it all over my face. I use my Dermalogica hydrating toner everywhere else. These are just my random faves which i've always used on my face and continue to use. You can find full reviews of all of these products on my blogs older posts. 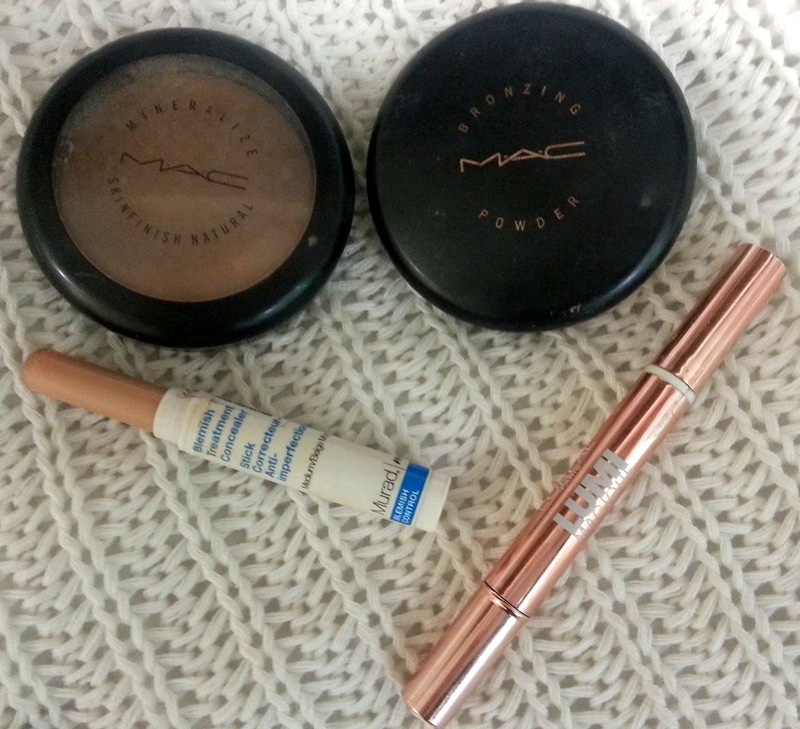 I use Mac's bronzing powder in matte bronze, Mac's mineralize powder in medium to dark and Loreal's Lumi Magique. As you know, Loreal's lumi magique highlighting stick is my favourite product ever, I wish it didn't run out so quickly as whilst £10.00 is cheap in comparison to YSL's touch éclat it isn't worth it when it runs out so quickly. It's just great for circles underneath the eyes. I wonder if touch éclat runs out so quickly. I have also been using Murad's concealer stick which is good but it snapped straight away which is a bit annoying and it does dry out spots which isn't always a good thing as then they seem to take longer to go. It's £14.00 which is quite expensive but then again I pay the same for Mac concealers which don't even have blemish control in them, I need to persevere with the concealer to see if it's worth it. 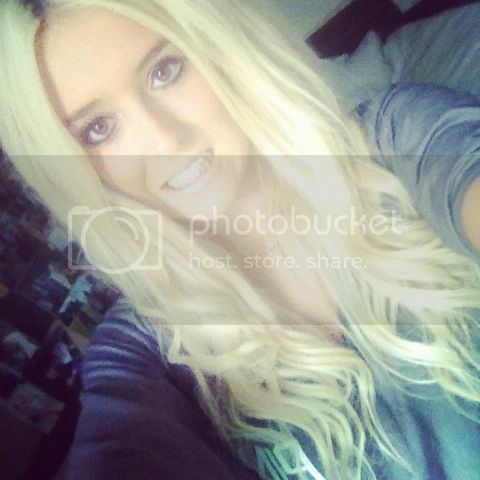 Subscribe to my Youtube channel: youtube.com/emshelx and please leave me your links too. Have you used any of the products above? What are your fave products this month? We use a rediculous amount of the same products! UD primer & Elemis moisturiser are two of my personal cult favourites that I have bought over and over again and will probably keep getting till the end of time (shh that elemis freshskin is for young skin). My favourites this month have been Illamasqua translucent powder- it smells like vanilla! and Nars foreplay palette! You've just made me far too excited for christmas...may be time to start with the christmas list :) I have the same problem with the Murad's pore refining gel, I've definitely noticed the difference in my skin, but the stinging sensation has started to put me off slightly. I'm tempted by the Murad's concealer stick, so I'd love to know if its worth it once you've been using it a while longer. This foundation looks so wonderful! I am already excited about Christmas, not going to lie. I love it! You got so many great products! I love MAC bronzer. it's my favorite! I also want to try the Lush tea tree spray!! Looks great! Love your blog! Wanna follow each other? Let me know! You got so many great products! Love it. I really want to get my hands on some Naked foundation. I've heard amazing things about it. Love your new face products alot of them I want to try! will add them to my list top 1 being the nakes foundation read some great reiews on this. I was in the states recently and was in two minds to get the naked, wish i did now! I've been after the Lush Tea Tree Water for a while. I'm using the Botanics one from Boos that everyones been raving about and I'm loving it so far. Think I'll get the Lush one next. 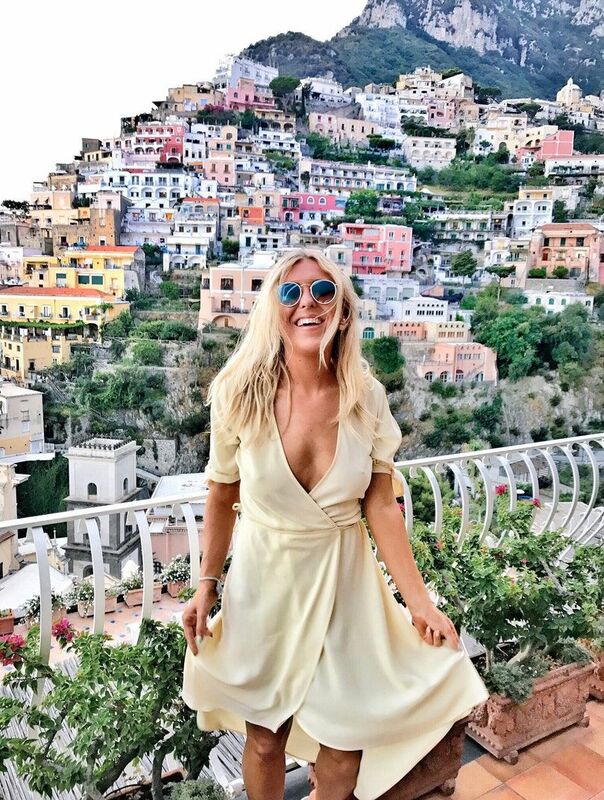 We love your post, it's wonderful. Can i get one of everything. 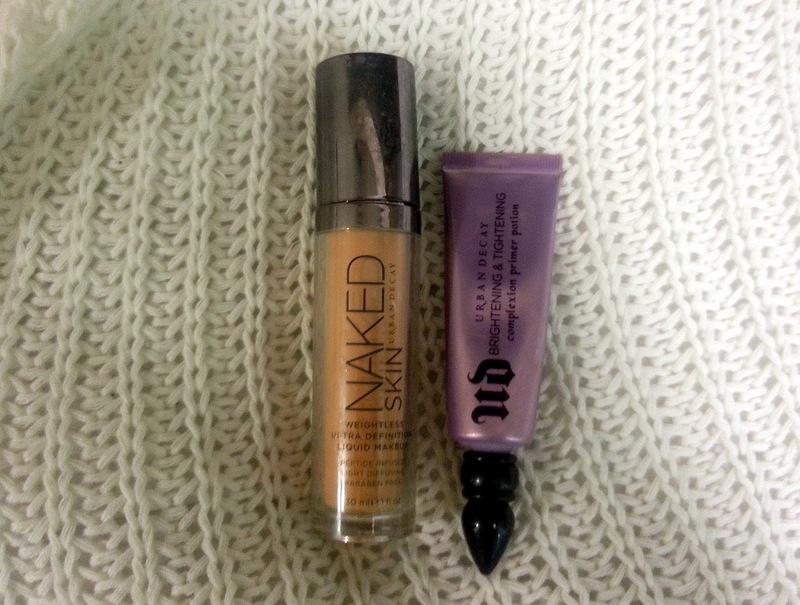 I love lush products and i cant live without my urban decay eye primer. Im a new follower.